Do you remember this song, “This used to be my playground (used to be), This used to be my childhood dream, This used to be the place I ran to …” by Madonna, this particular song perfectly syncs in tune with the Old Playground that I grew up with, playing and running on the playground with my friends, when we were young, free from stress and pressure. Today, not many of these Old Playgrounds had survived the modern economic growth and expansion, it might be too old and ugly for some, even too dangerous for the young kids today to play in. Back during my time, it was a lot of fun for us as kids playing there. 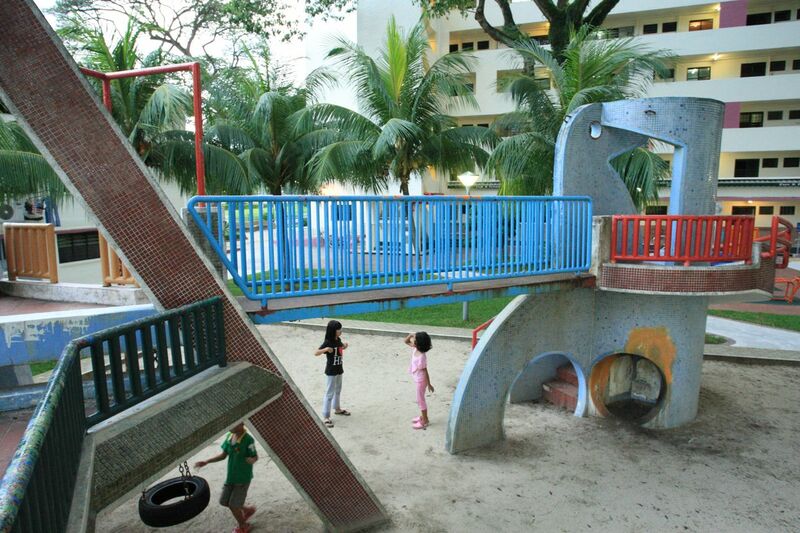 The Old Playground that is featured here, is the type that I played at regularly back in Clementi HDB Estate and it had been demolished, lost forever…. For this surviving Old Playground, located somewhere in Dakota Crescent, the bridge is now fixed and bolted tightly, in the olden days, it’s a swinging bridge and we loved to run across and back this swinging bridge. Those were the childhood memories, those were the days. As much as we know about and understand the need for growth and economic expansion in this fast paced ever changing environment, there would definitely be places, history and culture that would be inevitably be lost and/or destroyed along the way. 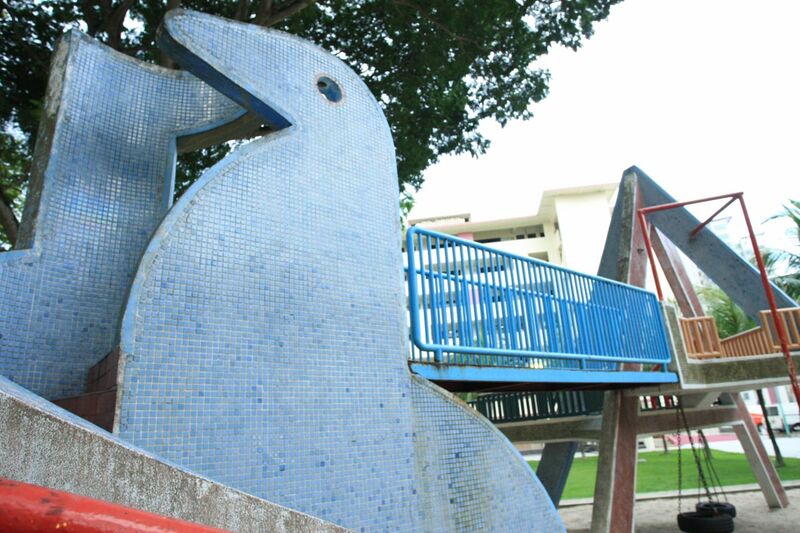 There are still some surviving Old Playgrounds and Old Places in Singapore, let’s hope that they will be able to stand the test of time and history in Singapore. Cherish these memories of Old Places and Old Playgrounds, looking forward to share more in my personal documentation and photojournalistic adventure of them! Just purchased a copy of the Old Places dvd last week and it really inspire me to check out more of the old places that they had featured. Wanna try the longkang fishing (i miss those days!) at the drain at cedar estate… and pop by the street barbershop (super old school!). I read from the green corridor FB that they are hoping to come up with a series of walk over the weekends in June. Are you intending to sign up for any? I have already expressed my interest, looking forward to it! The Old Playgrounds are turning into historical, not many are left & hope the remaining Old Playgrounds will be spared from future redevelopments. Thanks for coming by, sorry for my slow reply to your wonderful comments! The Old Places DVD is indeed inspiring & let’s all look forward to Old Places Part 2! Let’s all play our part to spread the word and preserve our history, heritage & culture! Hope you get to enjoy and have fun when you are back in Singapore for your holidays! 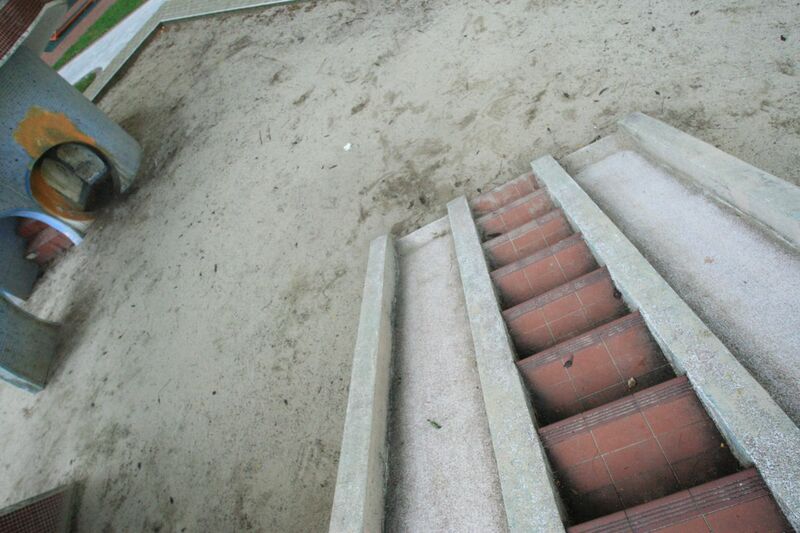 Do visit the Old Playgrounds too!